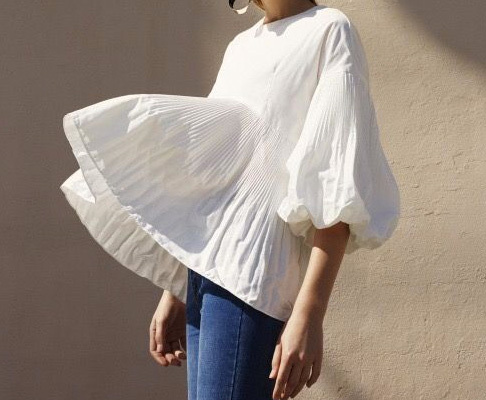 Ever since I came across this fabulously billowy blouse on Pinterest a few weeks ago, I've been hunting high and low for it. Over the weekend, I found the top on Shopbop--and was delighted to discover its $79 price tag! Can't wait to put it into my everyday summer rotation! Such an amazing find! Thank you so much for passing on the details! I bought the last medium top...you have great style, I have bought so many clothes because of your blog!!! I managed to snag a small...any idea how style mafia runs? I hope it fits because one can never have enough white tops!